According to the Insurance Research Council (IRC), 1 out of every 7 drivers in the United States is uninsured. If you are involved in an auto accident, it is very important to have Uninsured Motorist coverage in the event you are hit by an uninsured driver. An uninsured driver is someone who lacks liability insurance. If the at-fault driver is uninsured, there is no insurance company to pay for your injuries and property damages. If you do not have Uninsured Motorist coverage on your auto policy, you may be left paying out of pocket expenses. In an auto accident where the at-fault driver is uninsured, Uninsured Motorist (UM) insurance will cover the medical expenses, property damages, pain and suffering, and lost wages of the injured party. This coverage is also available to all passengers that may have been injured as a result of the accident. 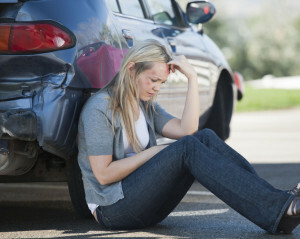 UM coverage is necessary in the event of a hit and run accident; and also protects you outside of your own vehicle. If you are a passenger and suffer injuries due to a traffic collision, your Uninsured Motorist coverage will pay for your medical expenses. Florida insurance companies are required to offer Uninsured Motorist coverage however, this coverage is not mandatory by law. Although UM insurance is not required in the state of Florida, it is highly recommended in order to ensure that your medical bills and property damages are covered in the event of an accident. Not all auto accidents can be anticipated, and it is important to take the necessary precautions to ensure the safety of yourself and your loved ones. Injuries sustained in an auto accident can require years of extensive medical treatment that can become costly, and choosing UM coverage is a great way to ensure that you and your loved ones are covered. If you have questions about Uninsured Motorist coverage, or have been injured in an auto accident, call a Personal Injury Attorney today for a free 15 minute consultation.